"Kekkon Shinai" follows the lives of single people in their 30's and 40's. Chiharu Tanaka (Miho Kanno) is a single woman about to turn 35-years-old. She sees her friends getting married and giving birth. Watching them, she becomes restless, but she can't get married. 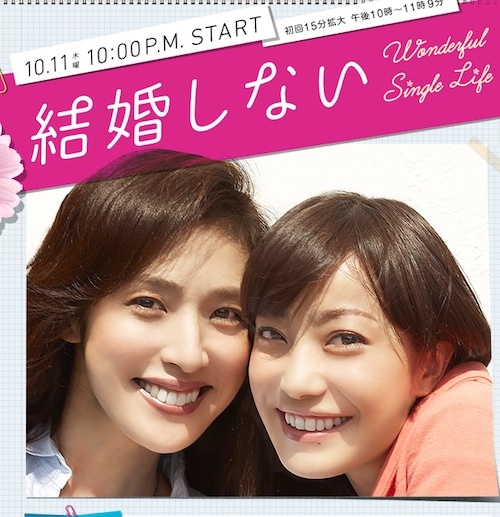 Haruko Kirishima (Yuki Amami) is a 44-year-old single woman.She is philosophical about marriage, giving birth, and dating. She doesn't marry. Junpei Kudo (Hiroshi Tamaki) is a single man who can't afford to get married. DaDa Oct 24 2012 7:45 pm I'm really enjoying this series after watching 2 episodes but what I find really annoying is that they make it look like a 35 year old single woman is not good enough because she is too "old". First of all, 35 is not old. Second of all, people don't only fall in love between the ages of 18-30. People can find love at any age. Sorry I just had to let that out.